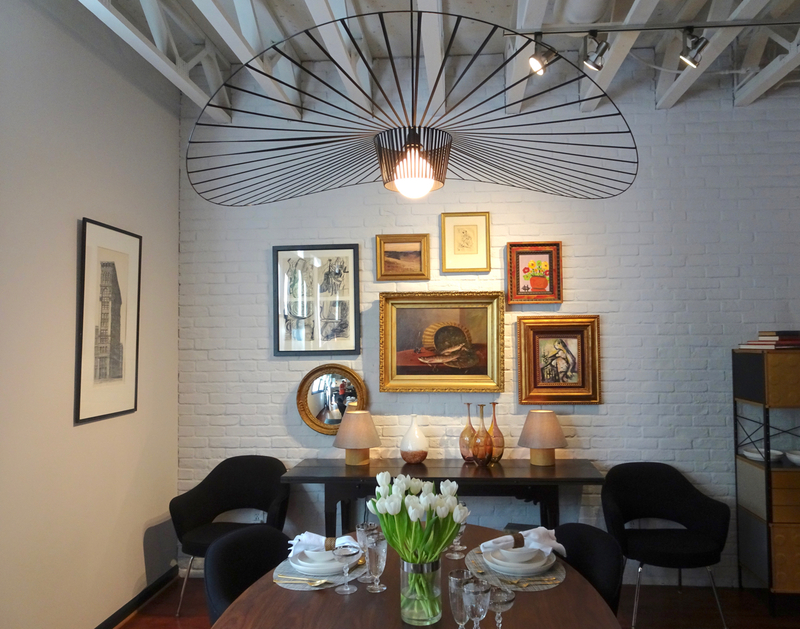 One more post on Places People Live: I couldn’t pass up a chance to blog my favorite Atlanta homes tour — the Castleberry Hill Loft Tour. It comes in October, and this year I timed two fall trips with a week at home between them just so I’d be here for the tour. … and individual decoration. 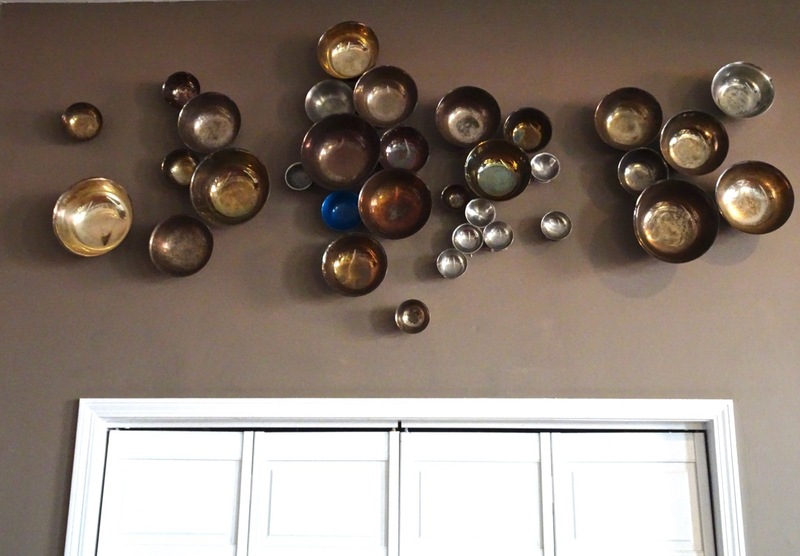 I loved the sculptural arrangement of these metallic bowls over a doorway. 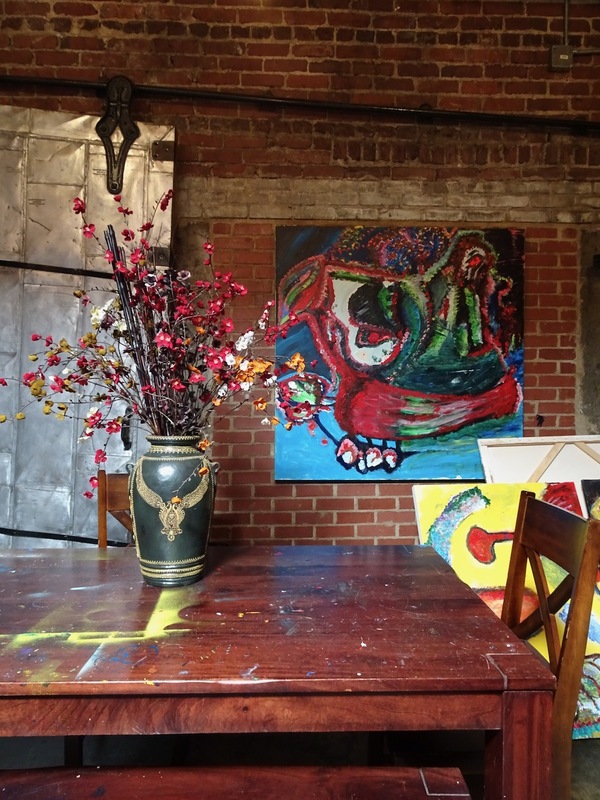 Another loft home, with signs that it’s also this artist’s studio (brick walls and paint on the table: a little like my fantasy-future, back when I was an art student). 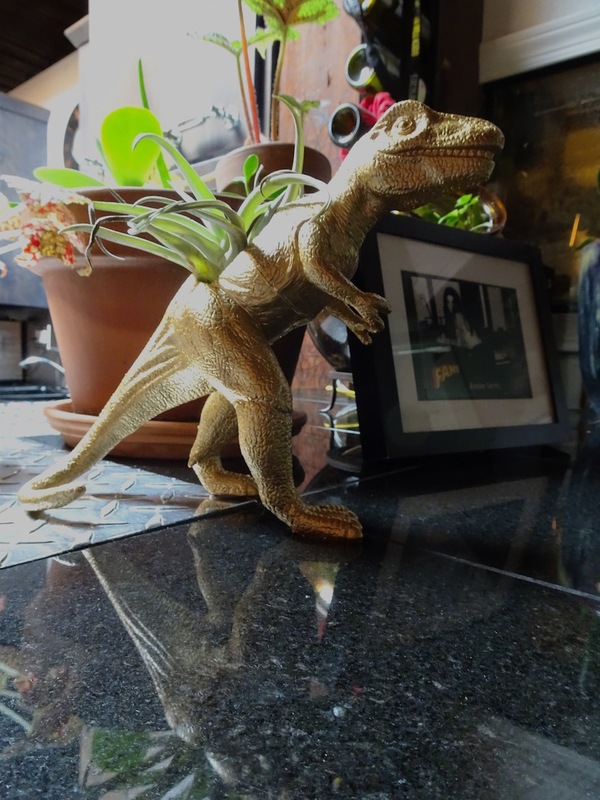 Dino detail: I covet the T-Rex planter. This was a favorite – serene, elegant and livable. 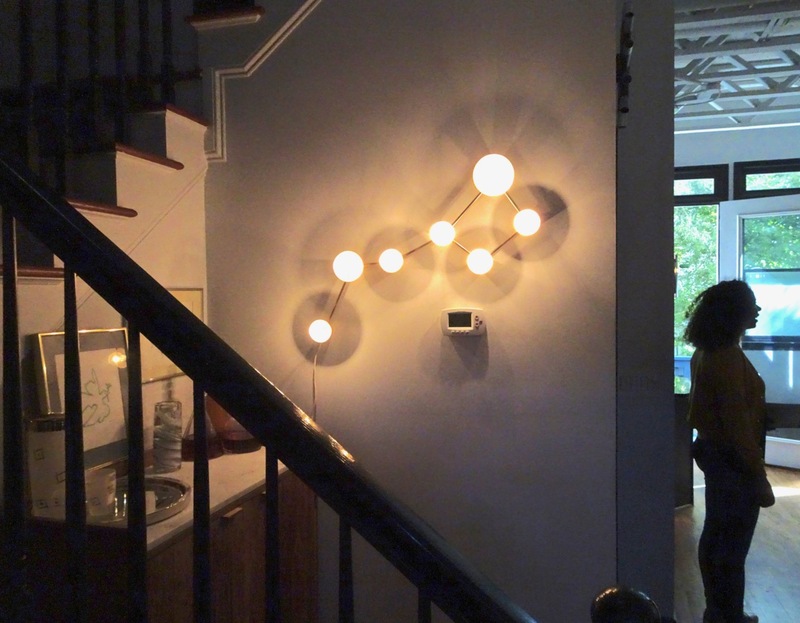 I do love the big-dipper light fixture at the bottom of the stairs. As we were leaving, we saw this group in the Gulch. 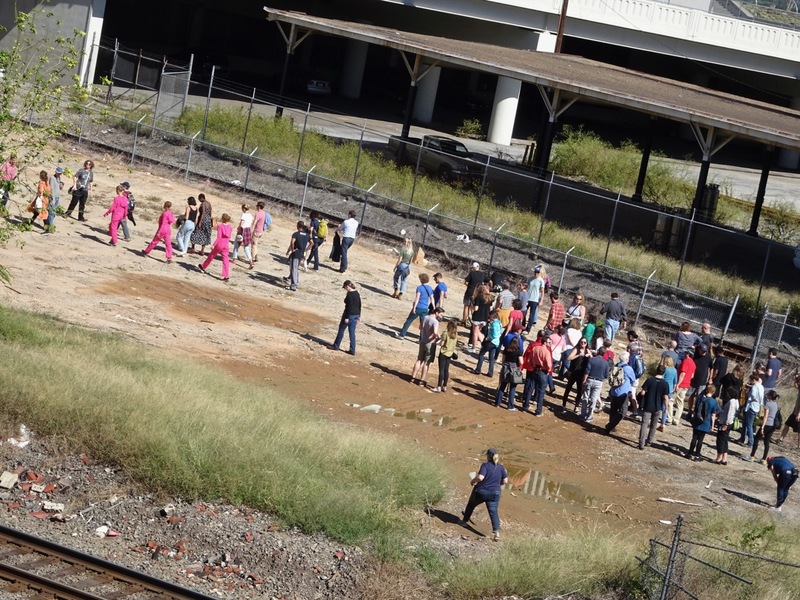 We thought it might be a movie-site walking tour, or maybe a Walking Dead location tour. 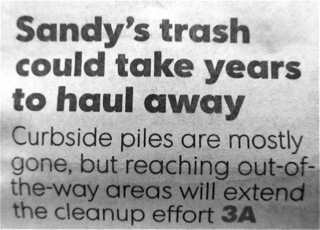 Lots of filming gets done in Atlanta these days. We appreciate the Castleberry Hill tour because it’s different, more ‘personal’ than some of the other local homes tours, which lately have featured places staged for sale, or even newly built homes that have never been occupied and are open for viewing anyway (are you listening, Modern Atlanta Tour?). 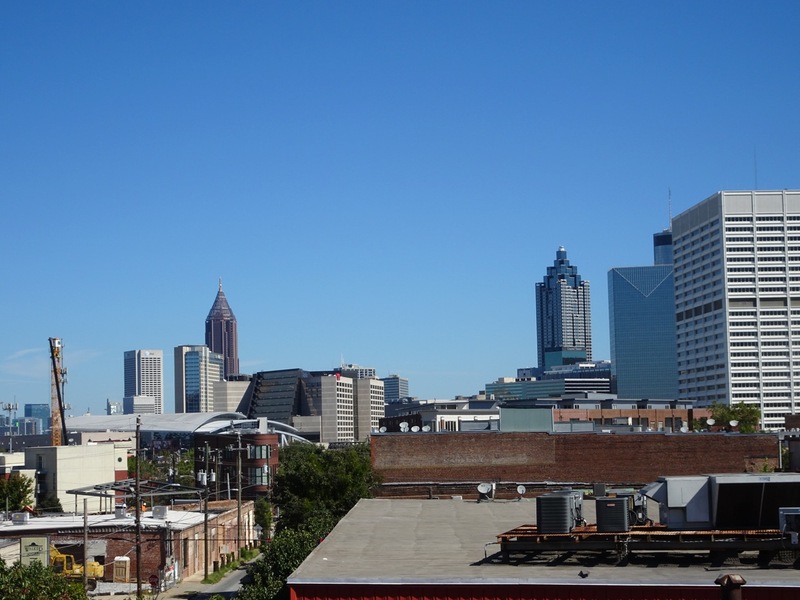 Castleberry Hill is a little quirky, and fun; the neighborhood seems welcoming, with residents always willing to talk about the advantages of inclusivity. 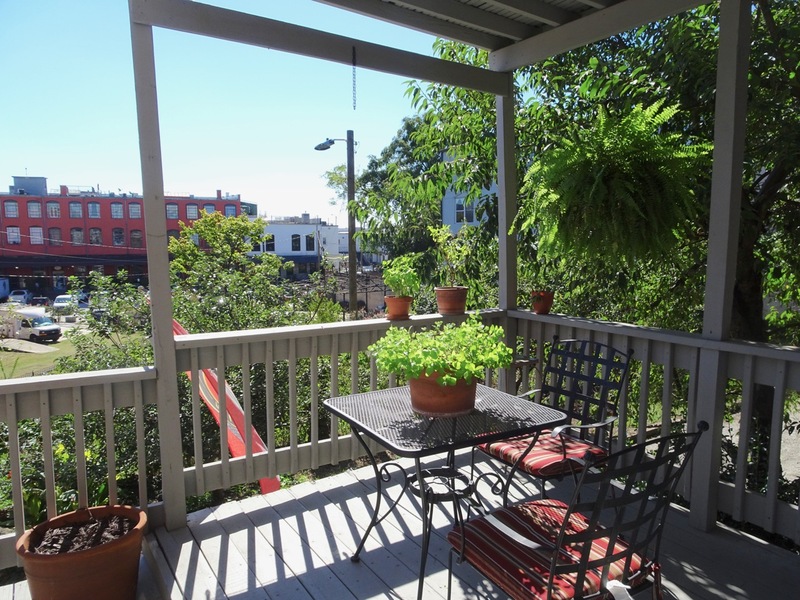 Plus, all residences are within walking distance, so we get a good feel for the area. 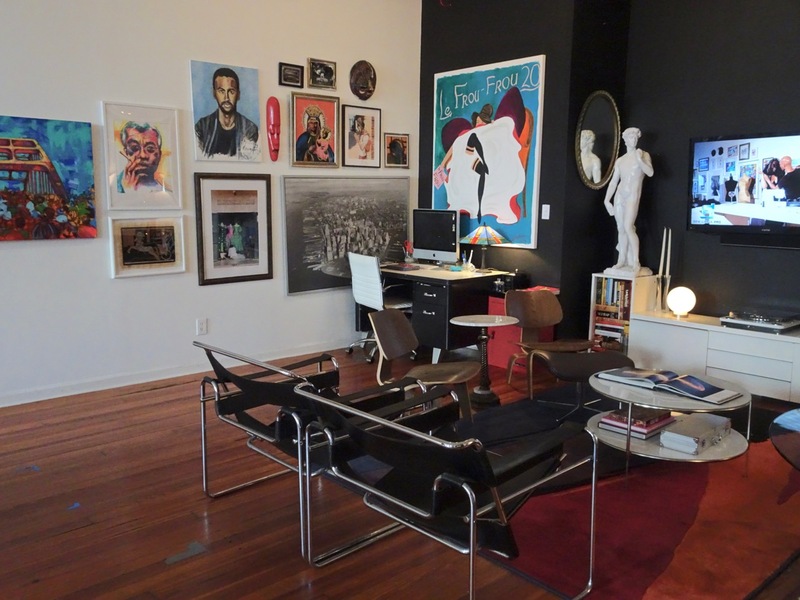 — For me, it encourages that vision of my “fantasy future loft” — what’s your fantasy future home? 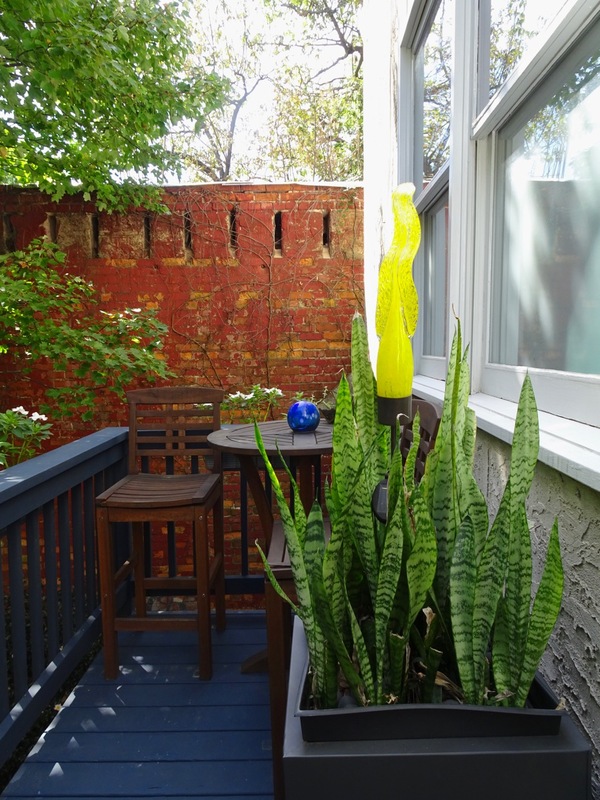 This entry was posted in Art and Design, Home and Garden and tagged Castleberry Hill Lofts, Cee's Fun Foto Challenge. Bookmark the permalink. Always a treat! Thank you for an amazing tour. I love seeing how others live! Me too – that’s why I like this tour so much, it’s real, not just places decorated for sale. It’s inspiring! 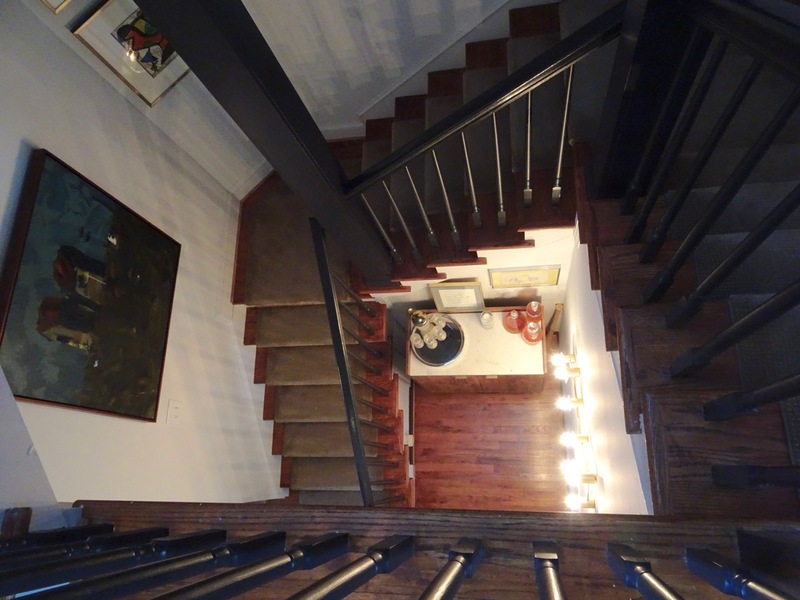 I think it’s the bohemian factor of the loft tour that makes it attractive, don’t you? On the T-Rex planter, it must be something going around. The Botanical Garden here has huge topiary-like sculptures (mosaicultures?) — mermaid, phoenix, dragon, earth goddess, and more, all covered in tiny plants that make up the design, so they’re all like big planters. No Dinos though.